Whether you are looking to set up a new business venture, buy or sell an existing business or are seeking advice in relation to any commercial agreements or your business structures, we are there to help, offering expert advice which takes into account the commercial realities of the matter concerned. We strive to maintain the highest standards in the delivery of our services, to keep you fully informed at all times, to manage your costs and deliver on your timescales. Our starting point is always to gain a full understanding of your business; your aims and objectives. We will apply that knowledge in everything that we do for you. You will receive services which are tailored very much to meet your specific needs and have been developed to add value wherever possible. So why not give us a call. Our initial consultation is always free. Having survived the early years setting up your business, it is worth stepping back to review your business. 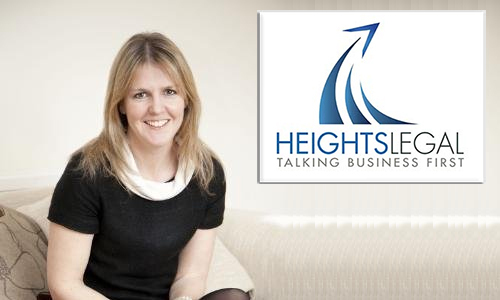 Heights Legal can help your business grow. Terms of business are the standard terms on which you trade with your customers and suppliers. Heights Legal can help you develop solid terms of business. We pride ourselves on being more than just a law firm. We can help your company grow and achieve your aims and objectives. Click below for further information. Setting up in business is exciting but can be daunting. There are so many things to consider and address. Click below to see how Heights Legal can help you. Heights Legal is a straight-talking law firm with personality that comes to you. We pride ourselves on delivering the power of commercial law with minimum fuss and disruption. We bring you all the expertise of a city centre law firm with the added extra of hands-on business experience.